This is the final week to get Weekend Passes to Bristol Rhythm & Roots Reunion 2015 for $75. The price increases to $80 on September 1, and are $85 at the gate. 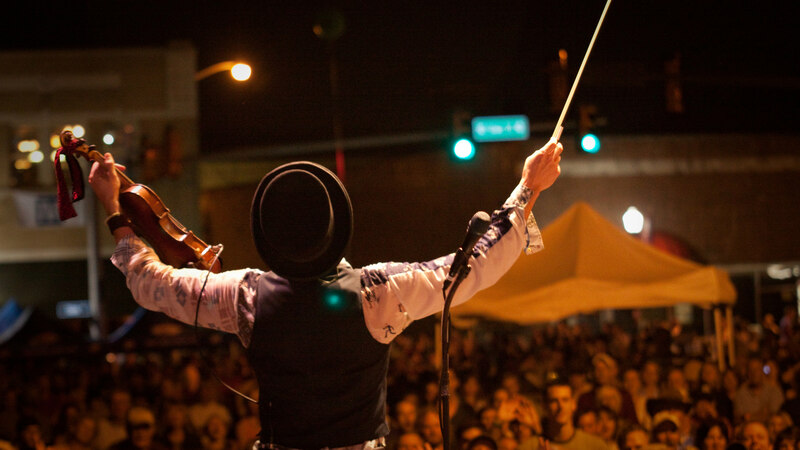 Bristol Rhythm is September 18-20, 2015. Click here to purchase your pass today. Believe in Bristol is pleased to welcome Style to the downtown Bristol community! 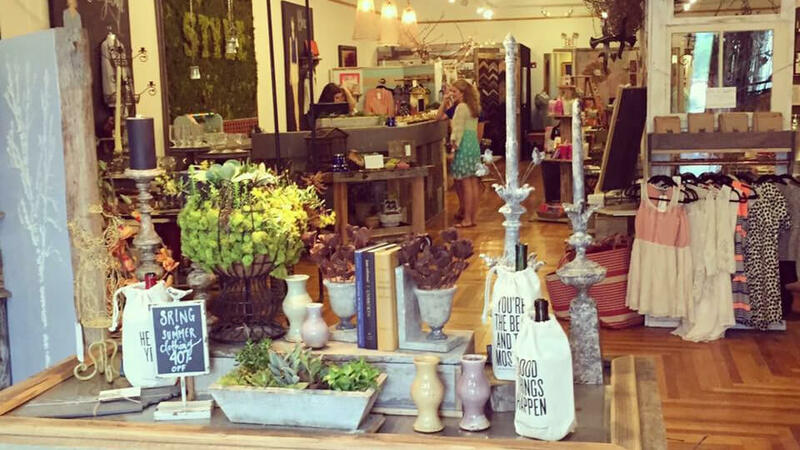 Style is a retail boutique featuring apparel, gifts, jewelry, custom framing, and more. Stop by to check out their unique selection at 606 State Street, Bristol, TN. The 15th annual Bristol Rhythm & Roots Reunion stage schedule is now live on the music festival's website at www.BristolRhythm.com. Steve Earle & The Dukes, Dr. Dog, Delbert McClinton, Josh Ritter & The Royal City Band, Rusted Root, and Moon Taxi are among the many acts scheduled to play during the three (3) day event. 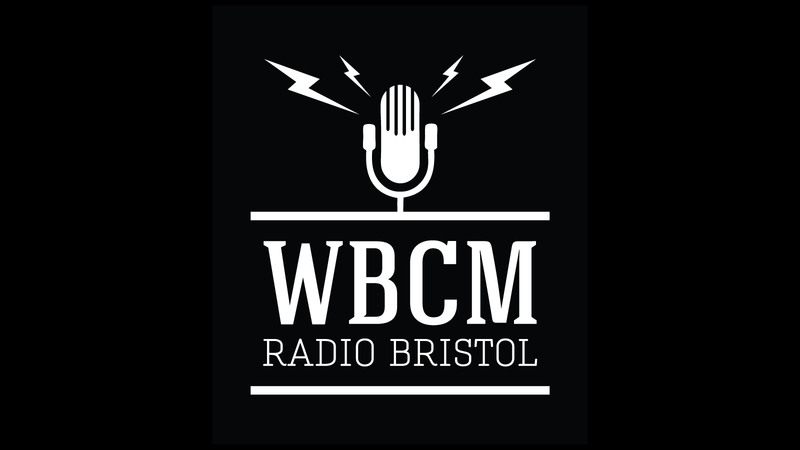 On August 27th, WBCM Radio Bristol goes worldwide with the official launch of the new WBCM LP on 100.1 FM and steaming worldwide on a new WBCM Radio Bristol APP and website with two more programming channels, Radio Bristol Classic and Radio Bristol Americana. Join in the celebration by attending a special live radio show in the performance theater at the Birthplace of Country Music Museum. Special station tours will begin at 4:00 p.m. and are free to attend. At 6:00 p.m., join us for a reception to celebrate the launch of the station, followed by a live Bristol Sessions show at 7:00 p.m.
Don't miss this amazing show! 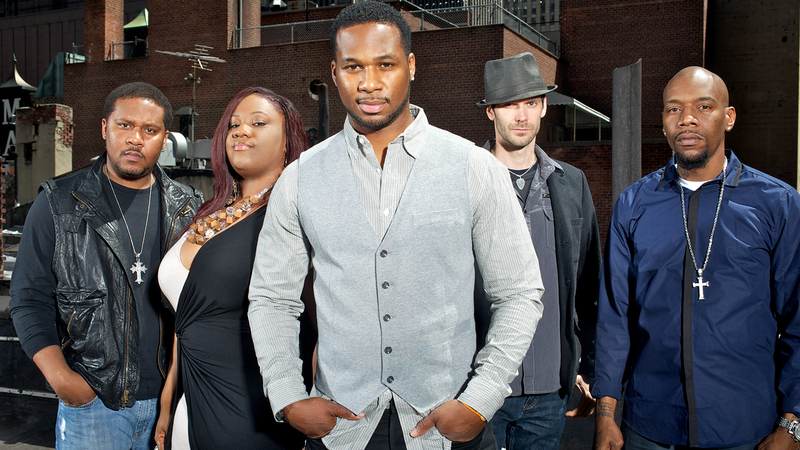 The Paramount Center for the Arts presents Robert Randolph & the Family Band August 27th at 7pm. "My thing is really upbeat, uptempo, with great guitar riffs," says Randolph, summarizing his musical ambitions, "but also catchy choruses and lyrics that someday will make this music into classic tunes." But for Randolph, the road to Lickety Split—his first studio recording in three years—wasn't an easy path. Though hisdistinctive mix of rock, funk, and rhythm & blues continued to earn a rapturous response from a fervent, international audience, he felt that he had lost some of the enthusiasm and intensity that had driven him to make music in the first place. "We just weren't being creative musically," he says. "Being on the road 280 days a year, you wind up playing too much and it isn't fun anymore. Soon, you stop being that concerned about how good you can be, how important it is to create and write. You kind of lose sight of that, of being focused on your craft and spending time with your instrument. I've become more in love with my guitar now, and staying relaxed and practicing and trying to create different sounds." The new album showcases the unique chemistry of the Family Band—comprised of the guitarist's actual family members Marcus Randolph, Danyel Morgan, and Lenesha Randolph, together with guitarist Brett Haas. The eleven original compositions, plus a stomping cover of "Love Rollercoaster" by the Ohio Players, were produced by Robert Randolph & The Family Band, Danyel Morgan, Marcus Randolph, Tommy Sims, Drew Ramsey, and Shannon Sanders; engineered by the legendary Eddie Kramer (Jimi Hendrix, Led Zeppelin); and feature special guest appearances from Trombone Shorty and Carlos Santana. Randolph notes that the title track of Lickety Split (on which his sister sings the hook) is one of his favorites. "What's great about that one is that it's something we actually played in church, just like that," he says. "There's a section in the service called the 'Jubilee Jam Session Time,' and I can show you video where we played that very same riff." But if there's one track on the album that captures the band's new spirit, it's one that started as a jam session in a Nashville studio during a break in recording, and later came to be titled "Born Again." "It's about finding the joy again," says Randolph. "At first it was more of a love song, the sense you get when you find the right person, but then as we were recording this new music with a whole new sense of direction, and feeling free again, that all came into it. It's not a religious thing, it's just new energy—which is really the old energy that I had at the beginning of my career." Robert Randolph & The Family Band first gained national attention with the release of the albumLive at the Wetlandsin 2002. The band followed with three studio recordings over the next eight years—Unclassified,Colorblind, and We Walk This Road—which, together with tireless touring and unforgettable performances at such festivals as Bonnaroo, Austin City Limits, and the New Orleans Jazz and Heritage Festival, won them an expanding and passionate fan base.Randolph's unprecedented prowess on his instrument garnered him a spot on Rolling Stone's "100 Greatest Guitarists of All Time" list, and alsoattracted the attention of such giants as Eric Clapton and Carlos Santana, who have collaborated with him on stage and in the studio. "What I've learned from being around those guys—and you never really notice it until the moment is away from you—is that it's really important to them that someone keeps original music going, that you're not just trying to be like everybody else," he says. "Eric really wants to know what's going on now, he's always going 'Show me that lick again! '—they're like little kids, and that's really the great part about it. It makes me think that I need to keep getting better, to stay excited and keep trying to be innovative and keep growing." Most recently, Randolph has attempted to amplify the tradition from which he came by executive producing the Robert Randolph Presents the Slide Brothers album, a recording which features some of the older "sacred steel" players from the House of God church who inspired him to pick up an instrument. "This is part of my whole story, which a lot of people don't understand," he says. "In our church organization, playing lap steel in church has been going on since the 1920s. These guys were my mentors, my Muddy Waters and B.B. Kings. Thinking that I started this style is like saying Stevie Ray Vaughan was the first guy to play the blues. I wanted to do this record so that everybody could understand the story and start connecting the dots." He is also taking a bold new step by remodeling an abandoned school building in his hometown of Irvington, New Jersey and opening the Robert Randolph Music and Arts Program. "There hasn't been any arts in the schools, period, since I was in high school," he says. "So my whole motivation changed to a full-on effort to get these kids into music, and also find out what other passions they have and try to offer that. These kids don't have anything to do, they don't have any hope." With a new label, a new dedication to his craft, and a new sense of responsibility in his life off-stage, it seems like Lickety Split might also represent the urgency Robert Randolph is bringing to all of his efforts these days. "I'm still undiscovered, and that's really the best thing about it," he says. "Now we have the chance to present the music right, and have the story told right, and for me to be focused on being an ambassador for inner-city kids and a role model, and also an ambassador for my instrument and as an artist. As all these things happened, it got fun again." The Birthplace of Country Music is proud to present the Steep Canyon Rangers Album Launch Concert at the Paramount on Friday, August 28, 2015. The show starts at 7:00 p.m. and will feature the band’s new ninth studio album, Radio. VIP Tickets are available for $50.00 (plus Tennessee Sales Tax and Preservation Fee), includes one (1) ticket to the show, a signed copy of the Radio album, and a special meet and greet party at the Birthplace of Country Music Museum following the show. Show ticket must be presented at the museum to enter the special Meet and Greet. Reserved Tickets are available for $25.00(plus Tennessee Sales Tax and Preservation Fee) . From Asheville, NC, Steep Canyon Rangers are an acoustic Bluegrass group. In 2013 the band's 8th record "Nobody Knows You" won the Grammy for Best Bluegrass Album. Before embarking on a world tour backing comedian/banjoist Steve Martin, the Rangers were also nominated for 2 International Bluegrass Music awards including Album of the Year "Lovin' Pretty Women" (2007). Steep Canyon Rangers were also named 'Emerging Artist of the Year' in 2006 at the IBMA awards ceremony in Nashville, TN. 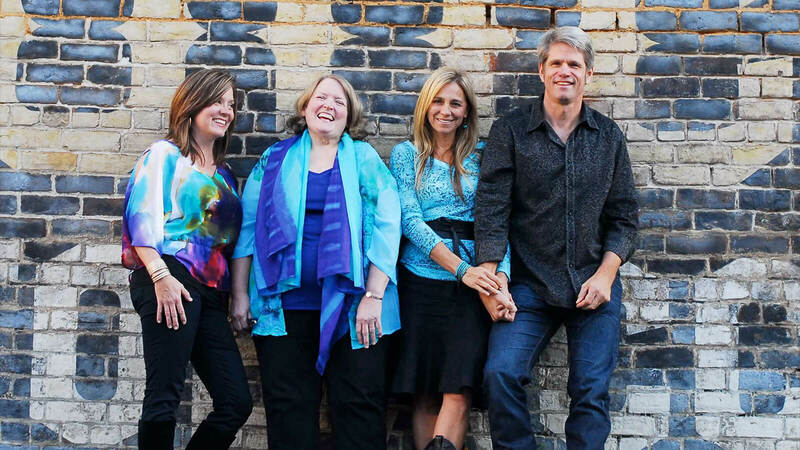 The group performs heavily in the Bluegrass and Americana music world at festivals like MerleFest, Telluride, Hardly Strictly Bluegrass, Grey Fox, DelFest and RockyGrass. 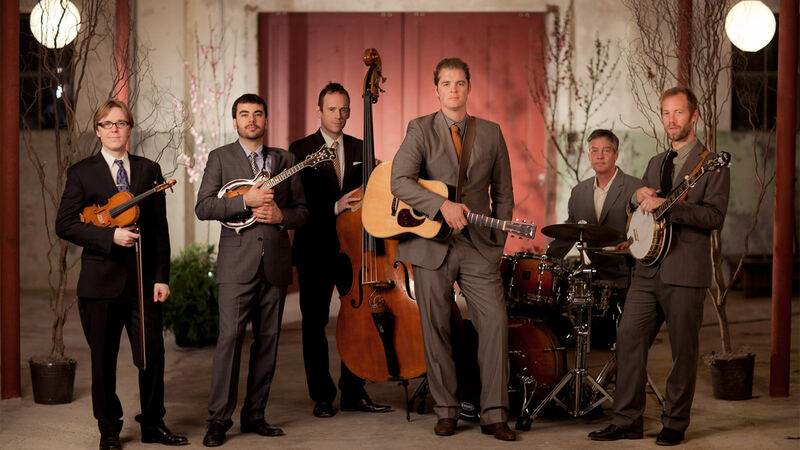 Abroad, Steep Canyon Rangers have performed in Sweden, Ireland, England, Germany, Switzerland and Canada. My New Favorites will be performing at Quaker Steak & Lube on Friday, August 28th at 8pm. 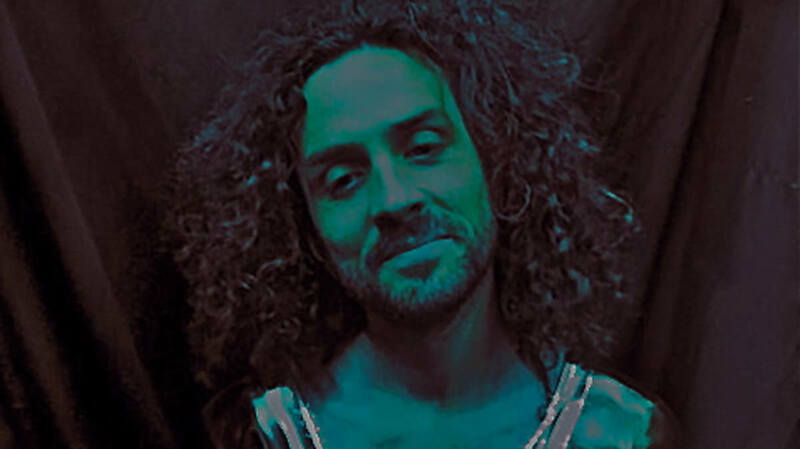 Shake it Like a Caveman will play 620 State August 28th at 9pm. 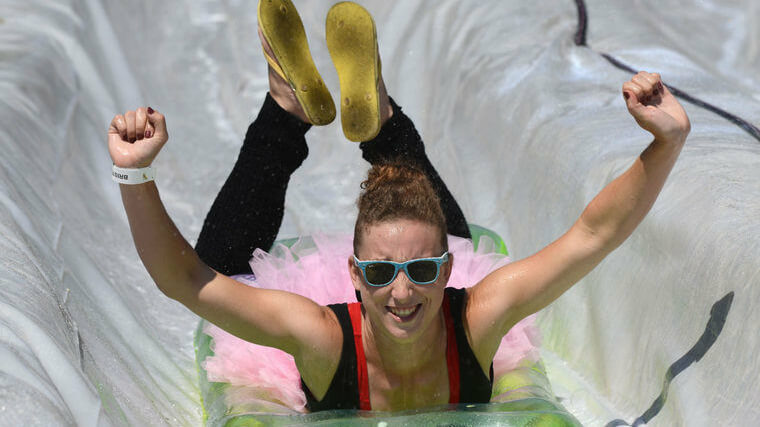 A section of Cumberland Street will again be transformed into a giant waterslide later this month and organizers predict improvements for the second annual Cumberplunge. 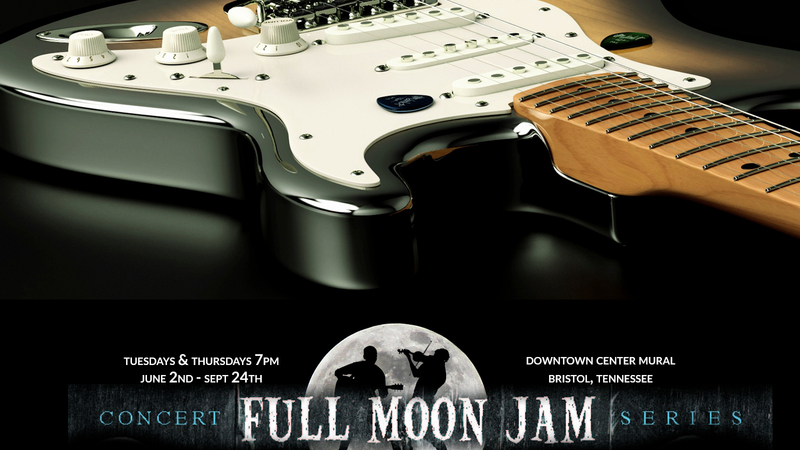 The free community event is scheduled Aug. 29 in downtown Bristol, city officials announced Wednesday. The temporary 500-foot, two-lane course will be set up along Cumberland Street from Solar Street to the intersection of Piedmont Avenue. Sliding is scheduled from noon to 4 p.m.
Wellness Yoga is offering a Kids Yoga Workshop during the 2nd annual Cumberplunge! 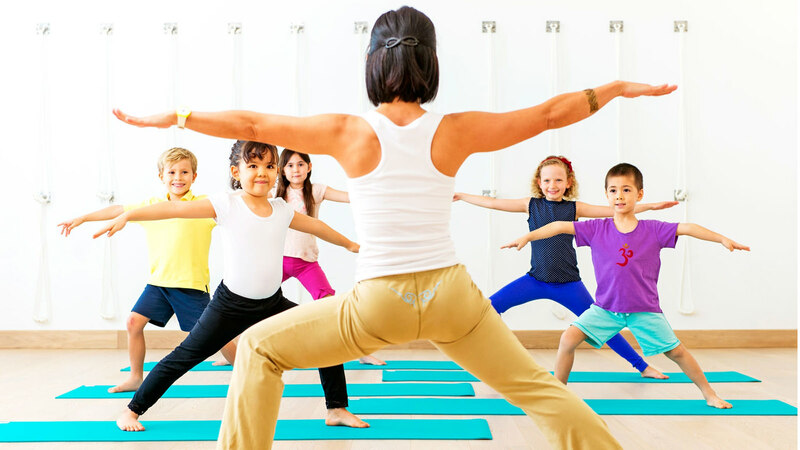 While the older kids enjoy flying down the 500 ft long waterslide, the younger kids can enjoy a one hour yoga class made just for them. 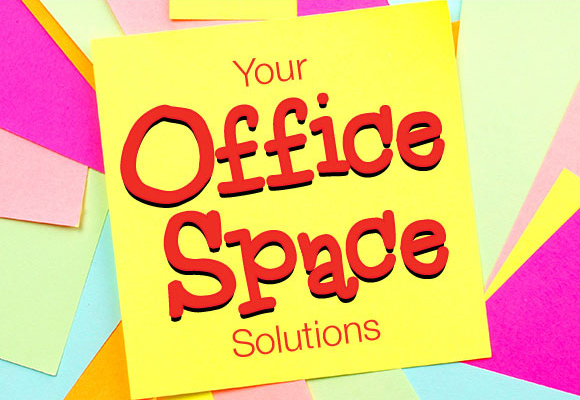 There will also be arts & crafts activities and snacks available for them to enjoy. Please call 276-644-3086 or stop by and place your name on the sign-up sheet. Spaces are limited to 15 so reserve your spot today! 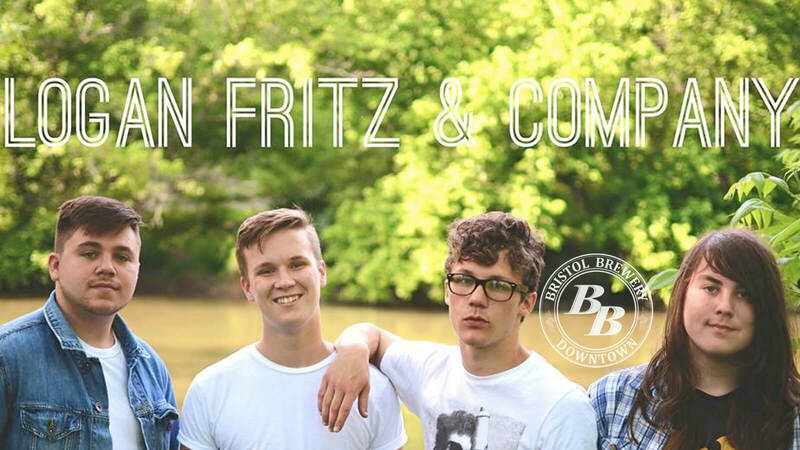 Logan Fritz and Company is a rock n' roll band from the border of Tennessee and Virginia. They'll be playing Bristol Brewery October 29th. Show starts at 8 pm! 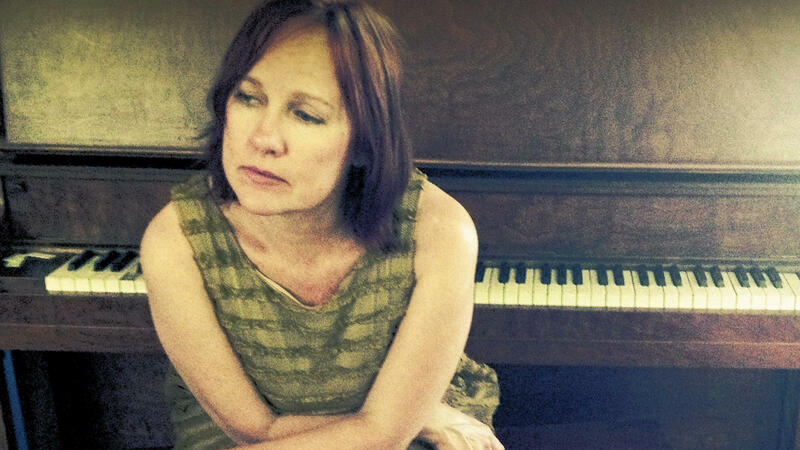 Iris Dement will perform at the Paramount Center for the Arts August 30th at 7 pm.